The food of Mexico is as adventurous and exciting as the land, its jungles, ranches and sports. The sumptuous cuisine brings together many interesting ingredients like red kidney beans, corn and salsa, in the form of dishes like Quesadillas, Burritos, Nachos and Tortillas. Their food is seasoned generously with chilli flakes, to get the characteristic spiciness. 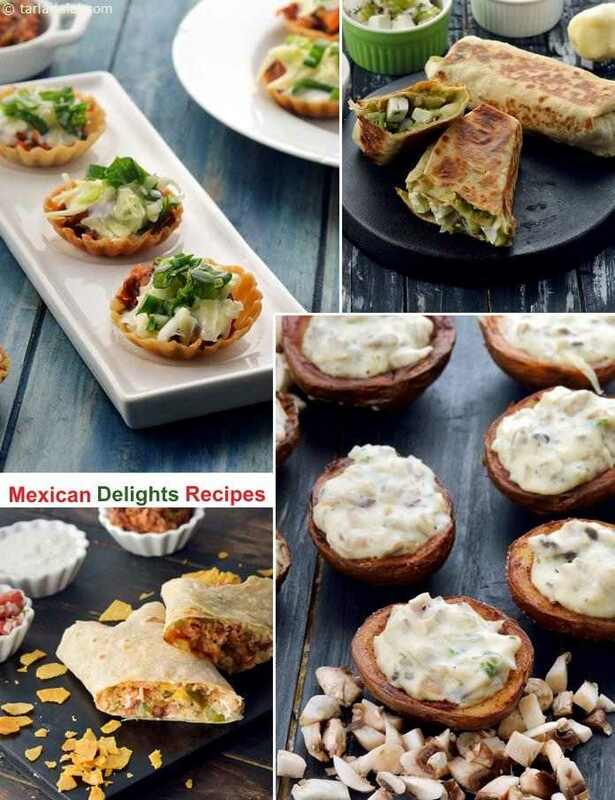 For the main course, Mexicans prefer to have filling dishes like Burritos, Chilli Bean Dip with Chips, Chilli Bean Quesadillas , Chimichangas and Crispy Cottage Cheese Mini Tortillas. This section is a culinary tour of Mexico, with dishes spanning several courses.